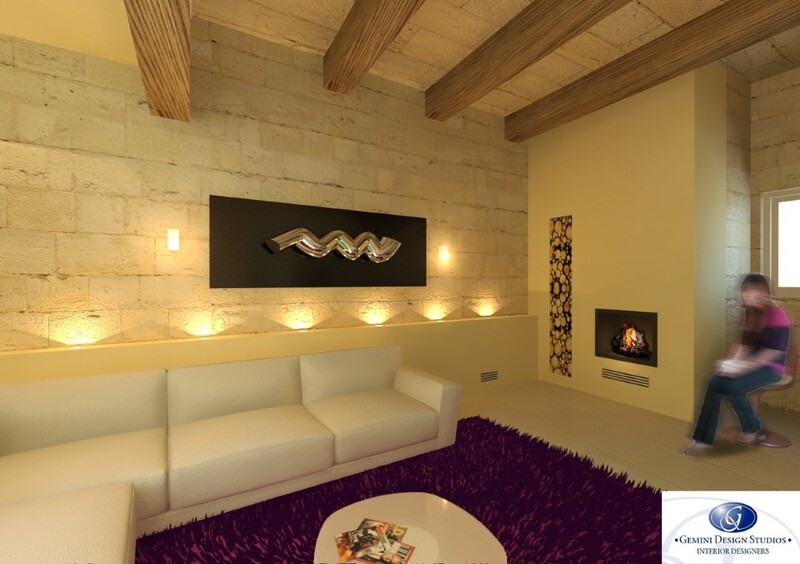 Creating a plush and colourful living area in an old house of character | Interior Design Malta – Gemini Design Studios Ltd. The setting is in an old house of character set in the heart of the beautiful village of Mqabba, Malta. The use of splashes of warm light on the textured antique walls helps create a perfect backdrop for the modern and comfortable seating placed systematically in order to enjoy the warmth of the surroundings. The introduction of a real-wood fireplace as well as the heavily-textured plush carpet further compliments the room into creating a perfect den on a cold wintry night.